Love day is on its way and I can't wait. While Christmas is my favorite holiday, Valentine's Day is a close second. I love all the fun craftiness. 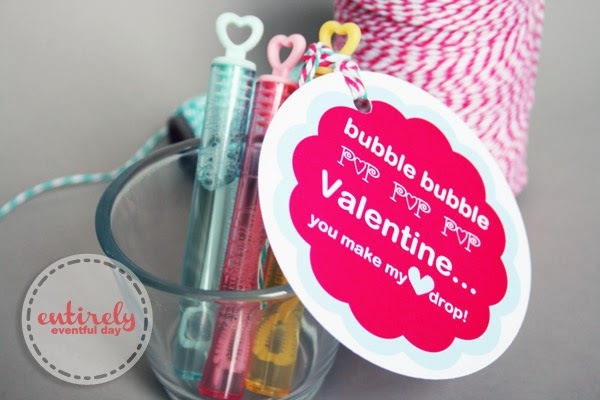 I am excited to share this fun, sugar-free Valentines idea for kids. 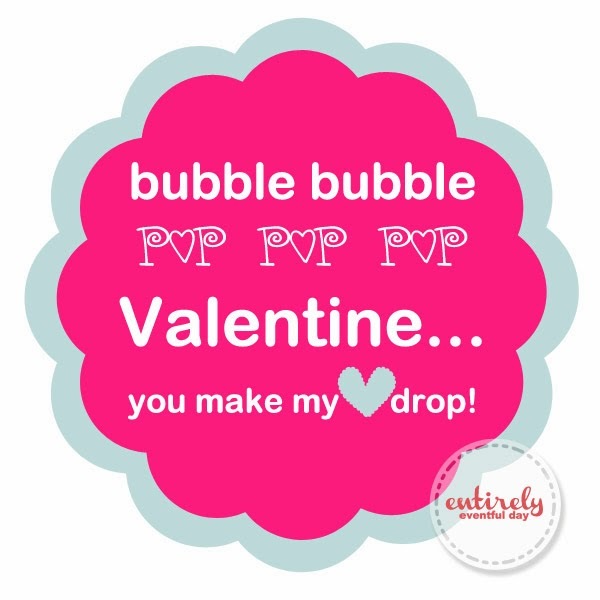 All kids love bubbles, all kids love valentines so it's just an obvious combo! 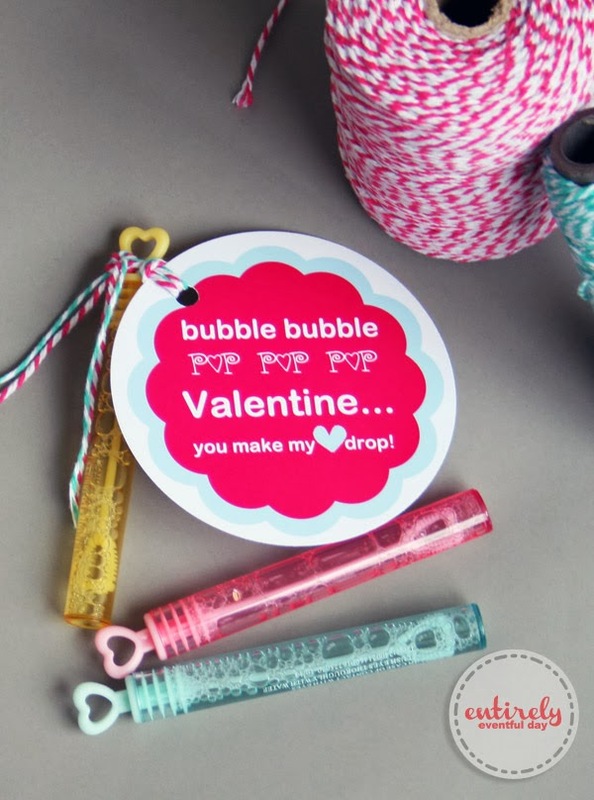 For this project you will need: small bottles of bubbles and printable photo paper . My kid's school doesn't allow candy for Valentines Day. So I have to get creative. I printed this cute blue and pink valentine on photo paper. It's formatted 3.5x3.5" but you can make it a little smaller if you like. I attached it to the little bottles of bubbles (found at Target) with bakers twine.